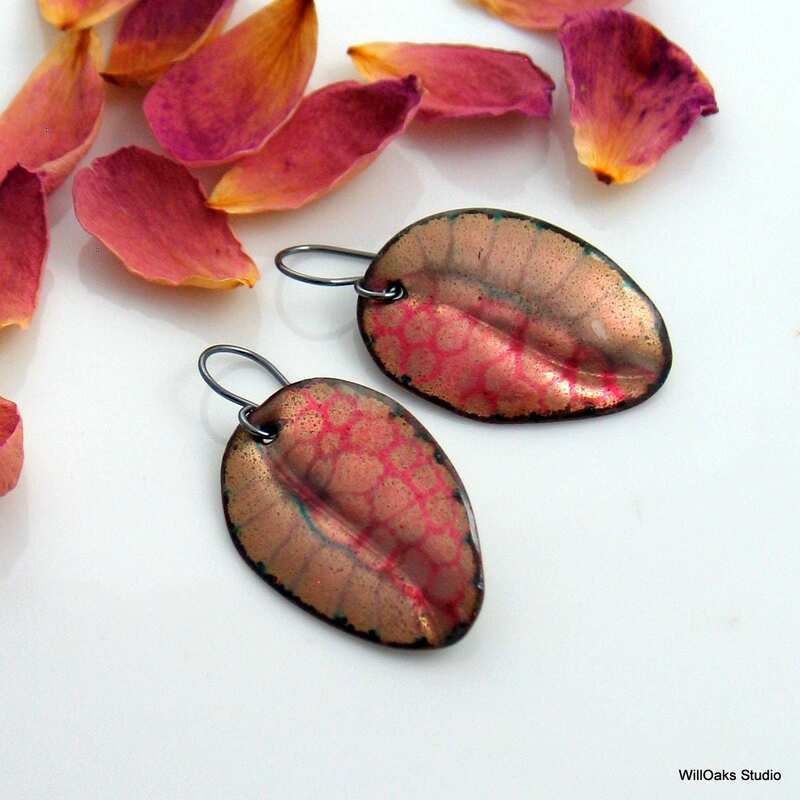 Pink and gold patterned copper enameled drop earrings. 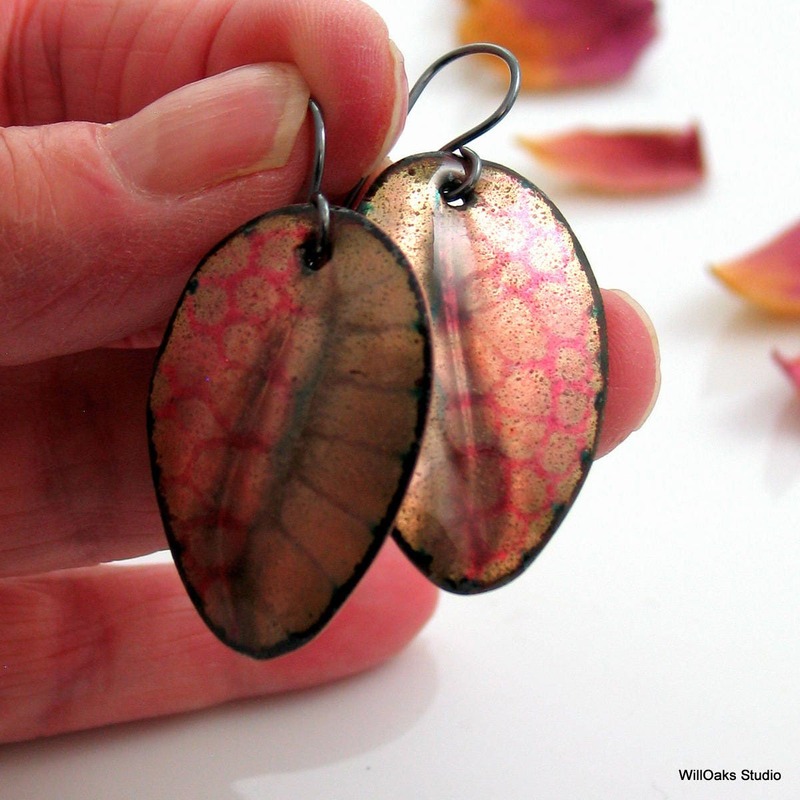 One of a kind art earrings, handmade original and inspired by leaves and nature. 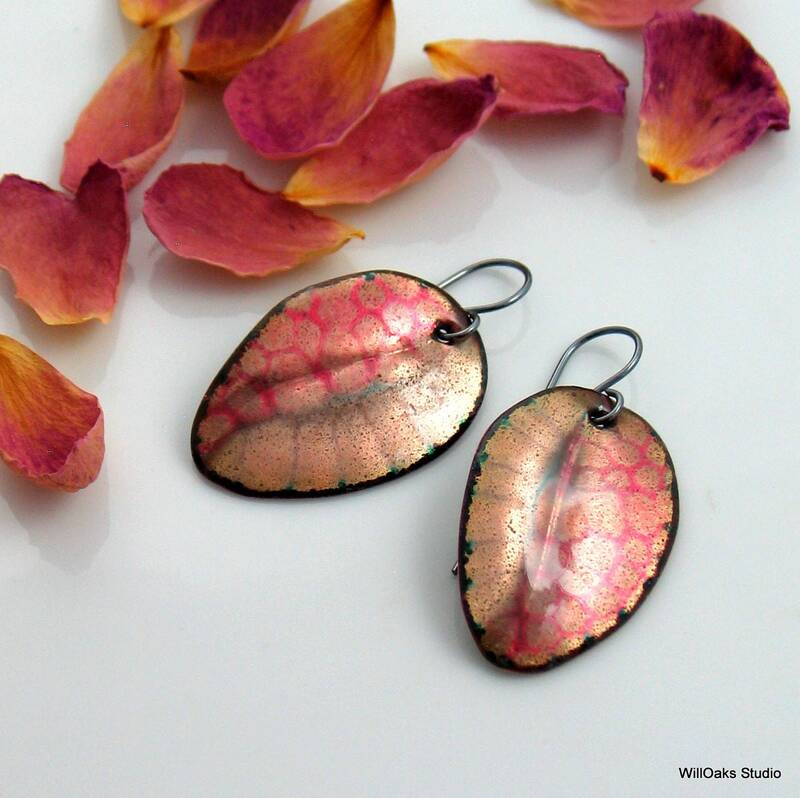 Transparent colored patterns over copper add a metallic quality to hand cut, hand formed and hand enameled leaf inspired earrings. 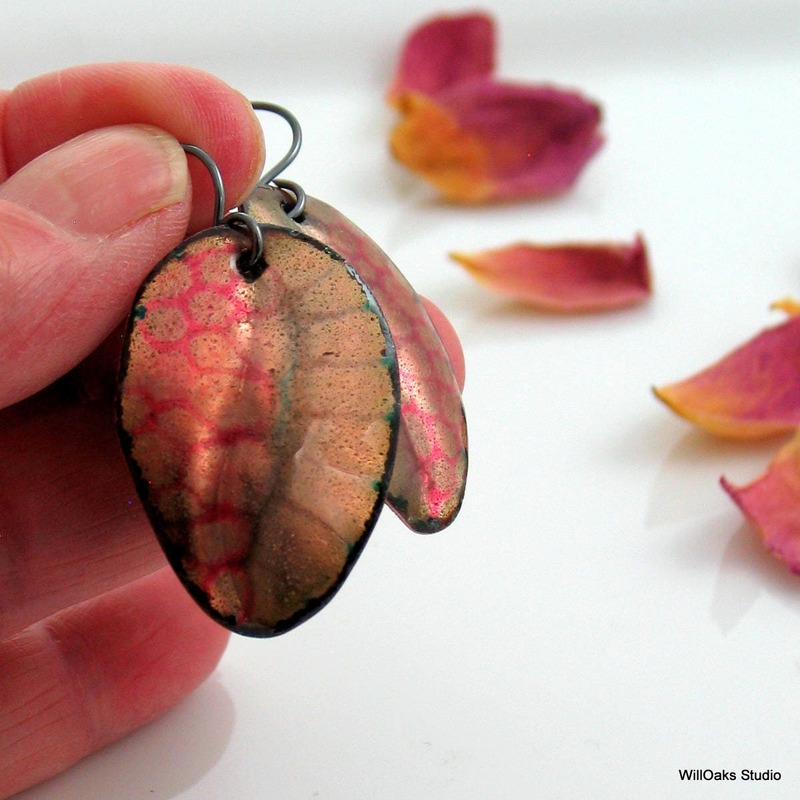 Hand crafted oxidized sterling silver ear wires and free hanging dangles: artistic, lightweight and swingy-very easy to wear. 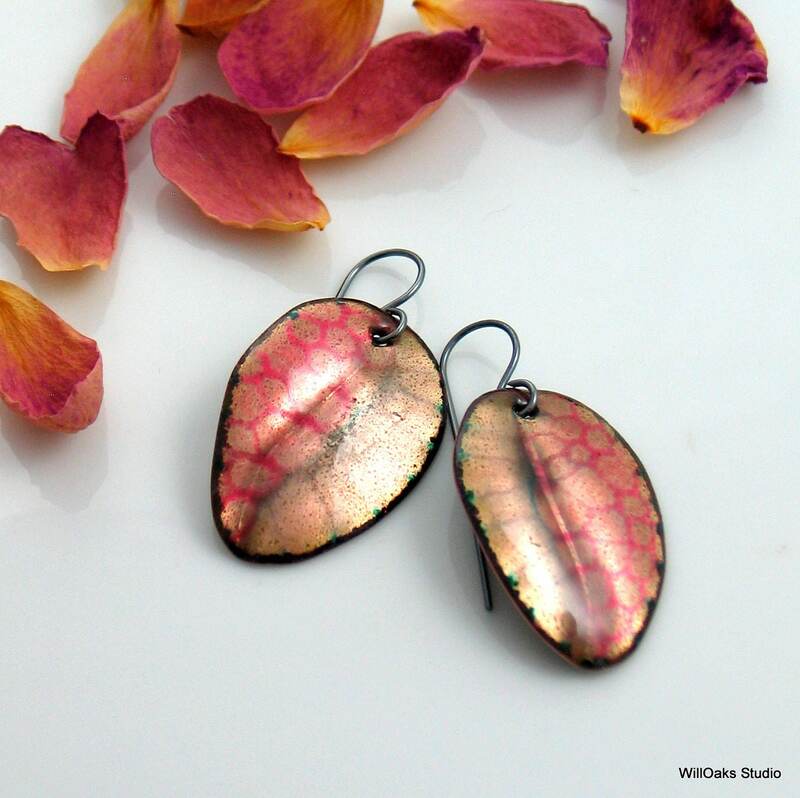 Original WillOaks Studio design and one of a kind. 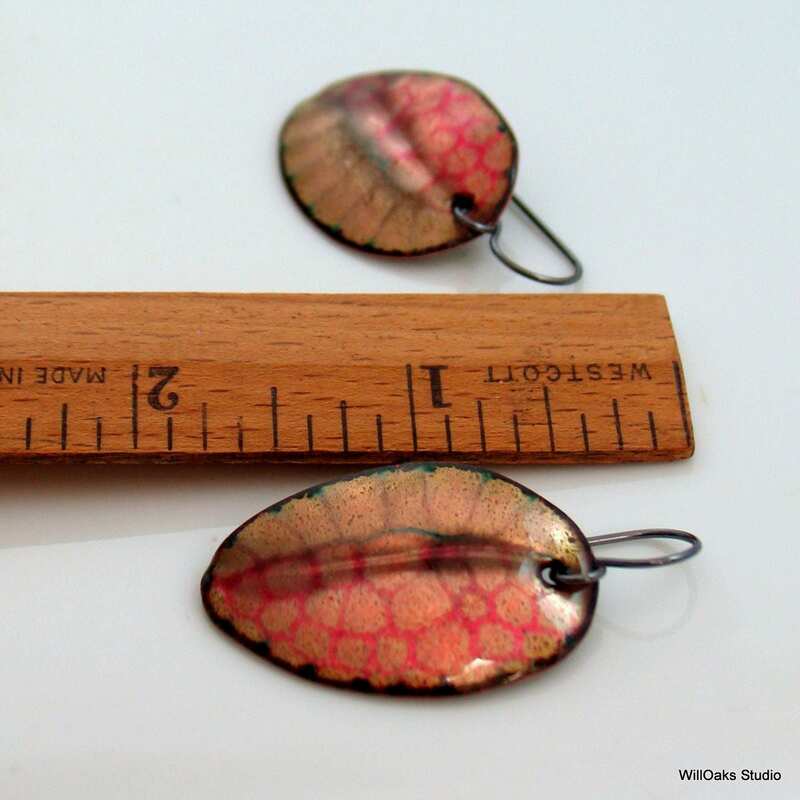 Each "Leaf" is about 7/8" wide & almost 1 3/8" long; Total earring length is about 1 3/4" from top of ear wire. 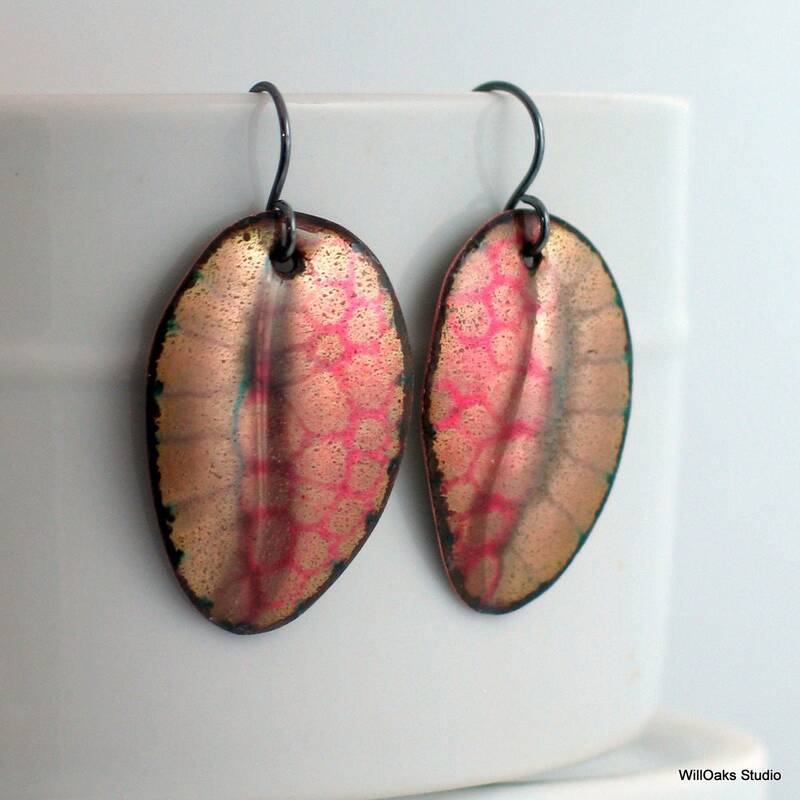 Backs are enameled in complementary glass enamel colors (counter enameled.) 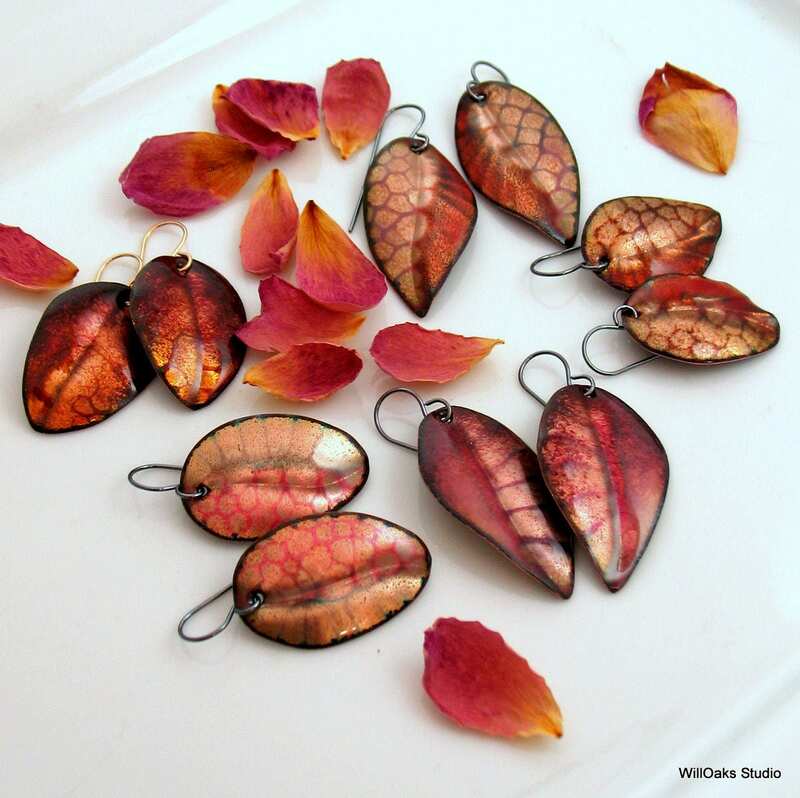 Presented in my signature box & ready to gift.